Recently, Draw A Dot. 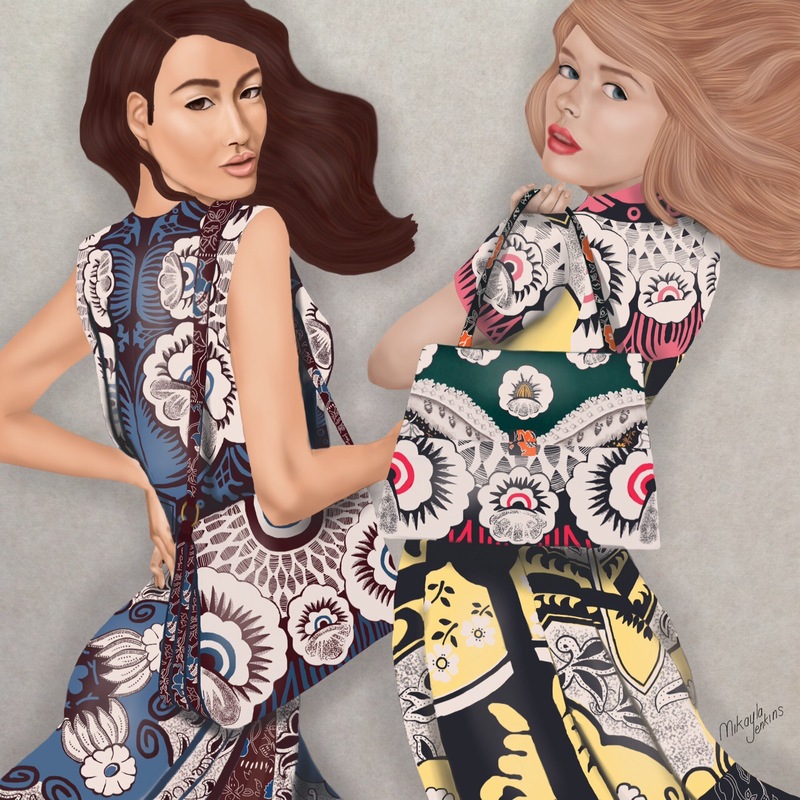 and Valentino held an open call on Instagram for illustrations featuring the Mime bag. This is my submission for the open call. My illustration was not selected as a finalist, but I had so much fun creating this piece. Plus, it was fascinating to see how other illustrators approached creating a piece featuring the Mime bag. All of the amazing pieces created for the open call can be found here. For my piece, I wanted to convey a sense of movement. My goal was to make viewers feel as if these ladies are going on an adventure. I’m so glad you took up the challenge. I hope there are more opportunities to shine after this one. Good on you! A really gorgeous illustration, you should be proud of it! I think you definitely achieved your goal it certainly feels like they are off on an adventure! !